HOTEL AIRONE is at the center of an amphitheater of natural, historical and enogastronomic beauties: a pearl called Maremma Toscana. Here we report only some of the locations that you can visit a few kilometers from the Hotel. Distance: 12 Km - By car about 15 min. Renowned tourist resort located 12 km from Grosseto, the seaside resort of the Maremma Grossetana welcomes the modern port of the Maremma. Made famous for its centuries-old Mediterranean pinewood, Pineta del Tombolo, and for the wide sandy beaches that overlook the Tyrrhenian Sea. The delightful Marina di Grosseto is equipped with both equipped and free areas is ideal for families on holiday. Distance: 20 Km - By car about 15 min. Castiglione della Pescaia is an ancient town over the sea which lies between Punta Ala e Marina di Grosseto: the very old section of the town, that is the ancient castle and the ancient village into the walls, is a real balcony on the Tirrenian sea. 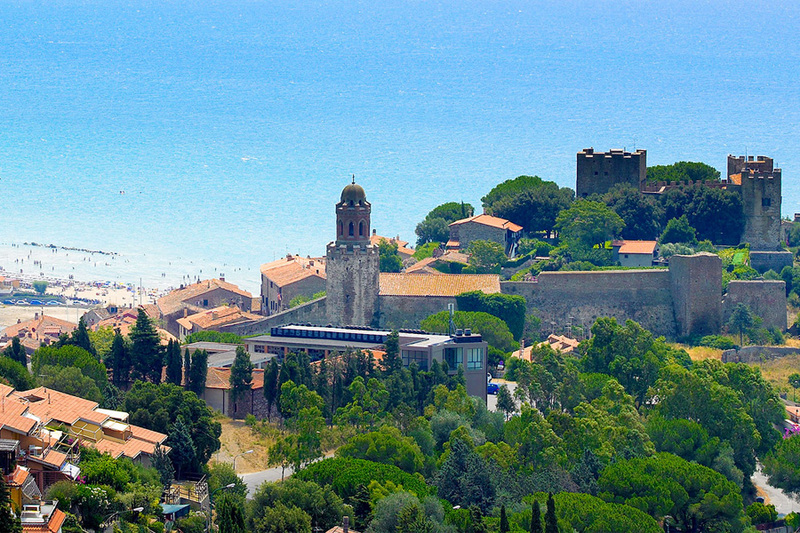 Castiglione della Pescaia houses a touristic harbour, which can offer daily trips into the tuscan archipelago. This little town boasts very ancient origins: the first traces of peopling in this area go back more or less sixty thousand years ago, while the first urban settlement fits in Vetulonia, the ancient town founded by Etruscans near Prile lake (today disappeared). Colma di bellezze storiche e paesaggistiche, è un punto di villeggiatura estivo molto rinomato. La passeggiata al torreggiante castello offre, nelle giornate limpide, una magnifica vista che arriva fino alla Corsica. Distance: 15 Km - By car about 15 min. 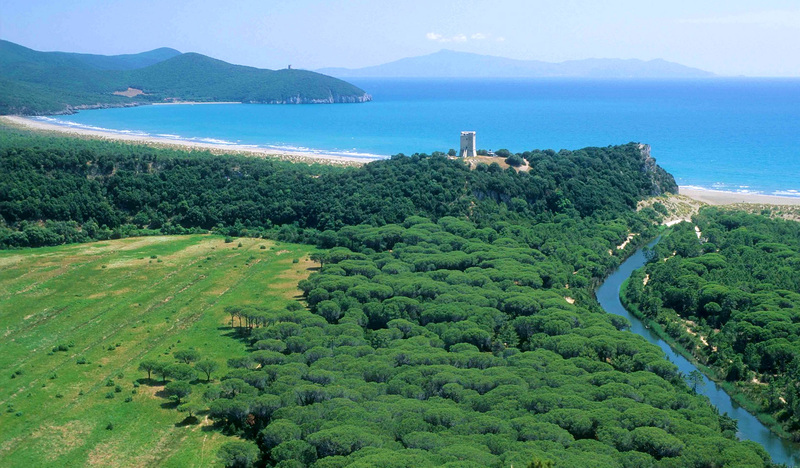 The natural regional park of Maremma was born in 1975 but, despite of its small area ( more or less 10.000 ) and its few age of forming, soon became a reference point for an increasing number of people. In 1993 it was awarded from the European Council of the title of European park. The visit of the park will be surely a pleasant and educational experience, but it must be said that in some case only one visit can appear reductive and disappoint someone’s expectations, often oversized if we consider the real possibilities offered by the too short time available: we have to remember that this is a natural park, not a zoo, so the animals are free to move into the park and not at our disposal. It is possible visiting the park only on foot, and it is reachable passing through Alberese or Talamone. For the itineraries starting in Alberese, access is normally possible on Wednesday, Saturday, Sunday and in all the festivities. For every informations about timetables and kinds of visit we recommend you to contact the Visit Center of the park. Distance: 50 Km - By car about 30 min. Massa Marittima is a very ancient town which lies on a hill at 380 mt. above the sea level and 15 km. 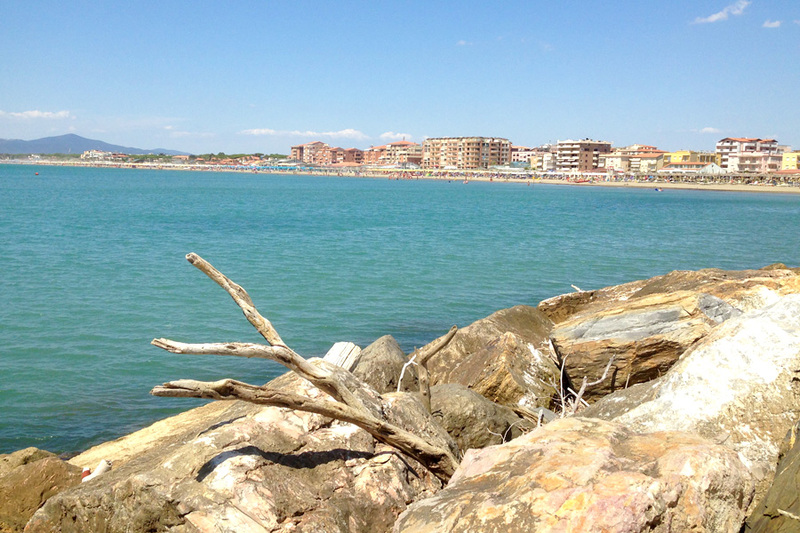 far from the gulf of Follonica, a pretty town in front of the Tirrenian sea. Knew for its silver and copper mines, exploited until 1300 and reactivated in 1830 til 1970, it is permeated by a strong sense of Middle Age. The “Balestro of Girifalco”, a race between local archers of the districts of the town, it is mainly a historical evocation. Distance: 84 Km - By car about 1h and 15 min. 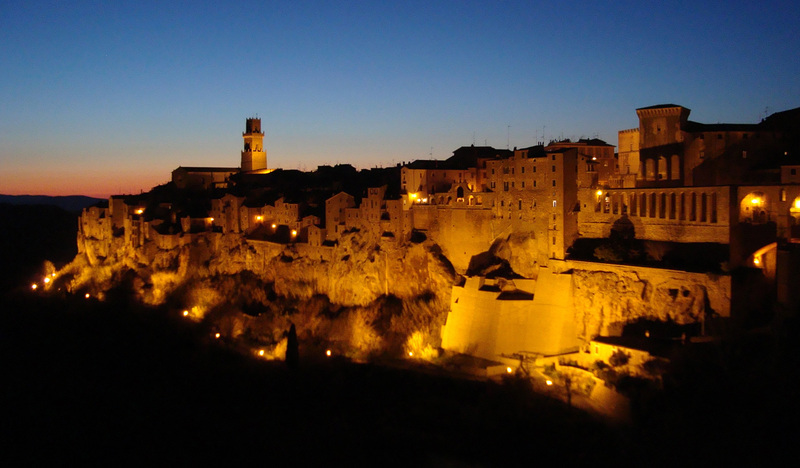 Pitigliano, the tuff city, the main center of the hilly Maremma, has remote origins dating back to the Bronze Age. The presence of the Etruscans is testified by ancient necropolis and above all by the "Vie Cave", roads dug into the tufa, volcanic rock, dominant geological element of this territory. Pitigliano in the various ages has passed from the fief of the Aldobrandeschi to the Orsini county until the seventeenth century, when it became part of the Medici Grand Duchy of Tuscany and later of the Lorraine. Pitigliano is located in a territory rich in natural and historical-archaeological sites, and therefore represents the ideal starting point for unforgettable trips and excursions. Distance: 60 Km - By car about 50 min. 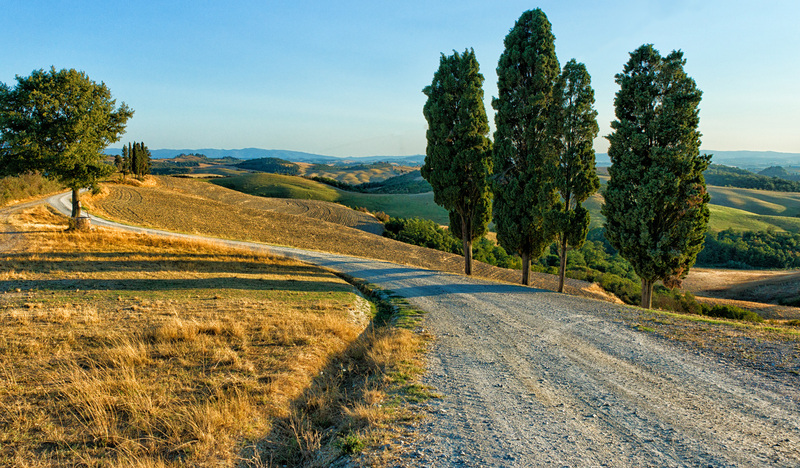 Siena lies on three hills between two rivers, “Arbia”and ”Elsa”. 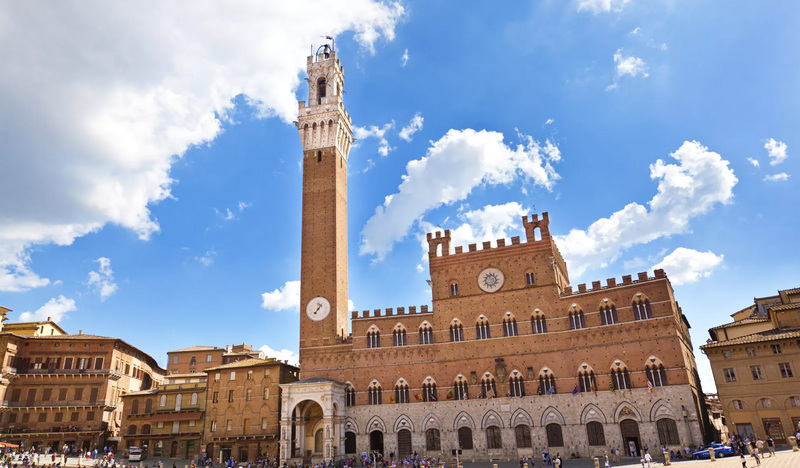 It is both an industrial and agricultural center, full of works of art and monuments and seat of the famous “Palio”. 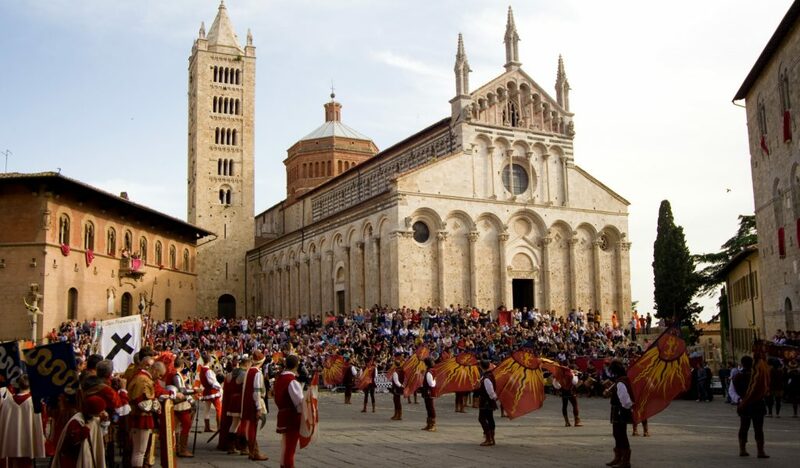 Thanks to its geographical position, it is possible to visit Siena and surroundings in every season of the year: in summer for the fresh air coming from the mountains, in winter for the skiing sports and in spring and autumn for the beauty of nature. Founded by Etruscans, with Augusto Siena became a Roman colony. After the Lombard settlement, in ‘700, it was the episcopalian home but in the XI cent. became a secular common. Cruel struggles divided Siena from Flowrence, and in 1260 Flowrence was defeated at Montaperti. After the government of various lordships, the city fell under the imperial rule and it was incorporated first by the state of the Medici, then by the state of Lorena till 1859, year in which became part of the Italian Reign. Distance: 140 Km - By car about 1h and 45 min..
Much of the luck of tourism in Italy is due to the cultural artistic heritage enclosed within the walls of the City of Florence. One of the most loved destinations by thousands of modern "pilgrims" every day of the year that travel not only its main roads but also the most unknown alleys. All desirous to be able to see David by Michelangelo, the Duomo, the paintings by Botticelli, the Uffizi Museum, a list, too long, to be listed ... Florence, city of art par excellence, tenaciously maintains a human dimension, today as in the past as shown by courtesy and good humor in the colorful street markets and small squares, or in small trattorias where customers share the table with the usual Florentine, young and old visitors. 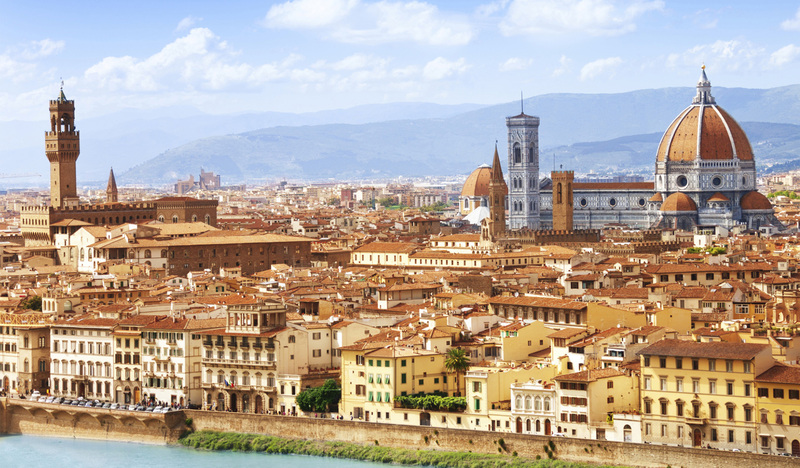 Florence, a beloved city, apparently known, but to be discovered. A mystical city full of art and culture, a must for 130 km from your hotel. Distance: 170 Km - By car about 2h and 10 min. 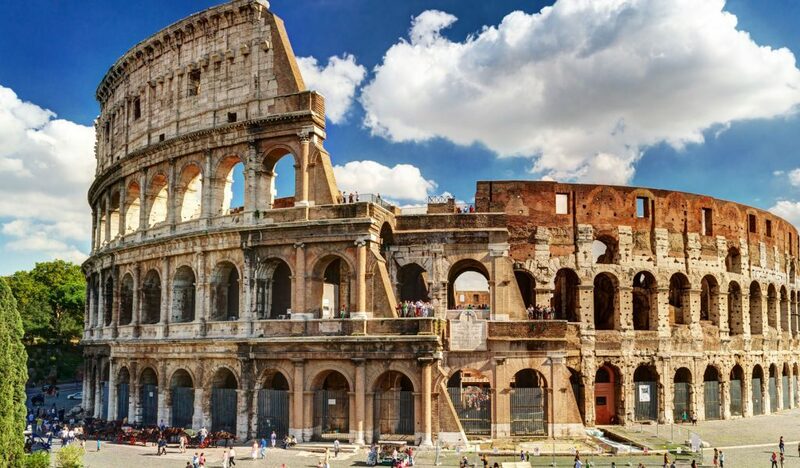 Rome is the capital of the Italian Republic, as well as the capital of the Lazio Region and the province of Rome. With over 2,700,000 inhabitants and its 1,285 square kilometers is the most populous and largest municipality in Italy. It houses within it the Enclave of the Vatican City, the heart of Catholic Christianity. The historical center of the city, overlapping with testimonies of more than 2,500 years of history, has been included in the UNESCO World Heritage List, making the city one of the most popular tourist destinations in the world. Rome presents itself as an important and dynamic metropolis, proud of its prestigious past and at the same time tolerant, with a cosmopolitan vocation that has always distinguished it throughout its long history. The Urbe still today, as in the past, continues to be a crossroads of different ethnic groups and cultures, reworked and in some way assimilated through a process that could be defined as "Romanization". Rome is in fact an important destination for migratory flows coming from the rest of Italy and from abroad. A city full of art and culture just 170 km from your hotel.